The RZR RS1 is the ideal machine for a real driver’s driver looking to push beyond their limits, free from care or concern of a backseat driver. The single-seat center-of-mass position unlocks high-visibility sightlines to oncoming terrain and provides increased balance and feel within the chassis. The race-inspired driver ergonomics and new steering position create extra room for active arm and leg movement. 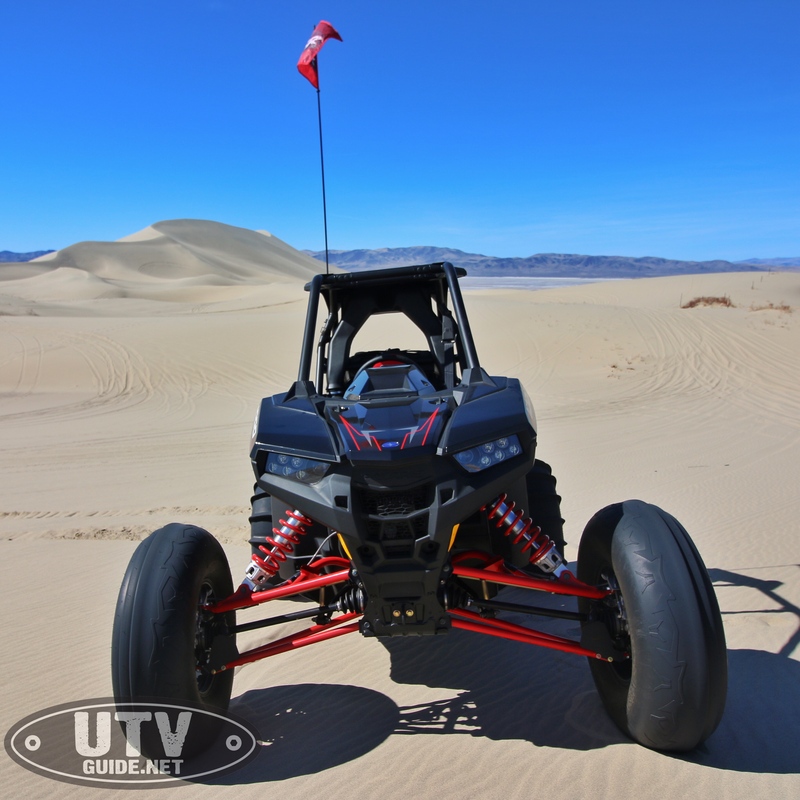 To me, the dunes are nature’s race track, and thanks to Placerville Polaris, I was able to check the RZR RS1 out at Sand Mountain, NV to see how it could handle the dunes firsthand. Other than the Pro Armor sand tires, the RS1 was completely stock. 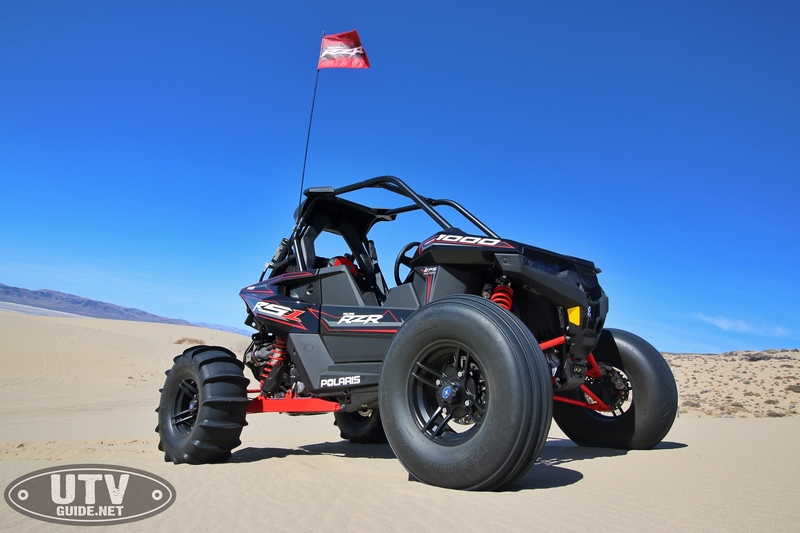 The RZR RS1 is naturally aspirated just like the RZR XP1000. 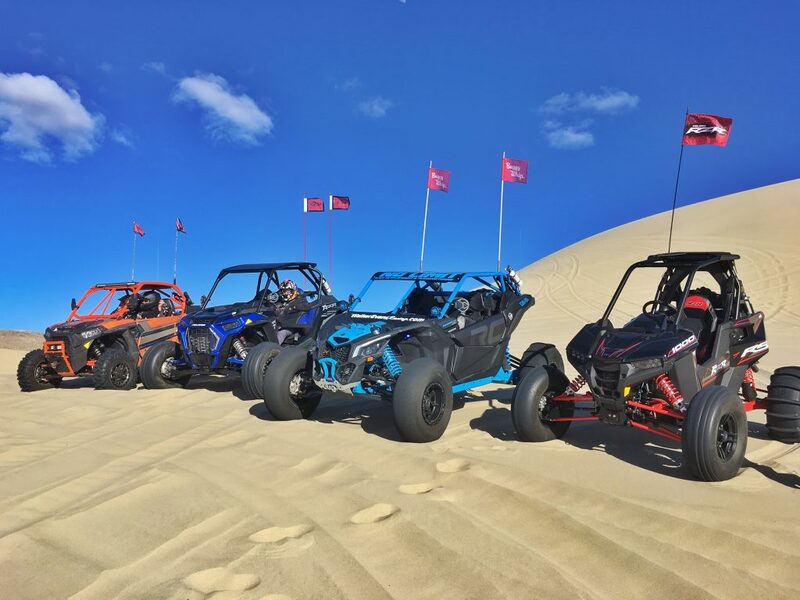 In our fleet of vehicles in the dunes, we had all turbos so the RS1 had its work cut out – we had a new RZR XP Turbo S, a 2016 RZR XP Turbo and our Can-Am Maverick X3 X RC. We ran for a few days out in the dunes together, mostly with Rick from Placerville Polaris behind the wheel and the RS1 never skipped a beat. I got behind the wheel a few times and was very impressed. The visibility was incredible. You can literally see both front tires all the time. The vehicle feels very balanced with just the center seat, and with the arms sticking out past the body so far, it gives you the feeling that you have long travel suspension. The power is adequate for the dunes, and the RS1 had no problem keeping up, but most of us that got behind the wheel were thinking a turbo would be a great addition. Not really needed in the hard pack, but for steep hill climbs like you see at Sand Mountain, it would be fun. 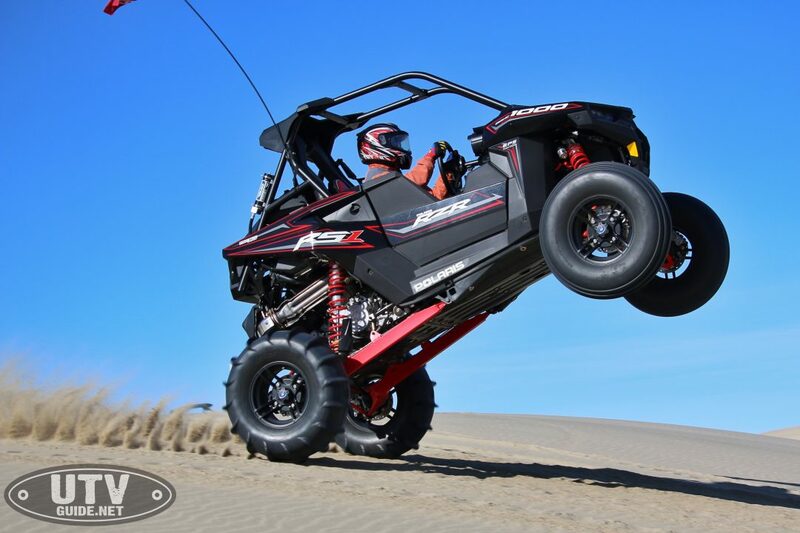 The RZR RS1 is going to be a bigger hit for the enthusiast crowd than I think Polaris expected. It is really fun, and definitely not for just racing. I can see taking the RS1 on trail rides, rock crawling, exploring, etc. Only drawback for adventure type riding is the lack of storage space. There is some room under the hood, and a little bit behind the seats in the “bed”, but you would be hard pressed to go camping in the RS1. 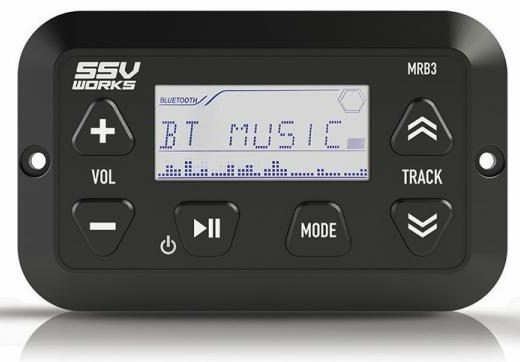 Slightly unrelated, but I really think the RS1 will be a very good rock crawler. Great visibility and small skid plate will make it super nimble. I am hoping that we can get our hands on an RS1 so we can hit the trails with it and take it to the Rubicon this summer. Single seat so you don’t have to feel bad telling someone that you’d rather ride alone!